Our US Made Placer Series rear axles are forged from 4140 Chromoly steel, precision machined and heat treated to withstand the loads produced by larger tires and low gear ratios. 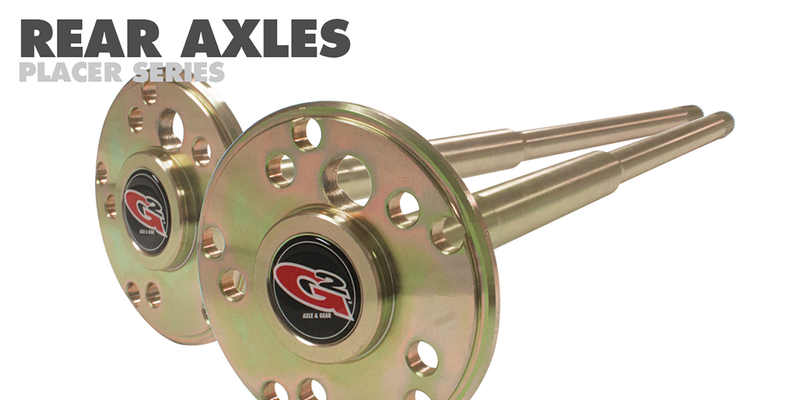 Our axles feature 1.5” diameter, 35 spline shafts, dual bolt patterns to accept 5-on-5” and 5-on-5.5” wheels. Rear axle kits include Timken wheel bearings seals, and screw in wheel studs. 35 spline aftermarket locker is required to accept the 35 spline axles.